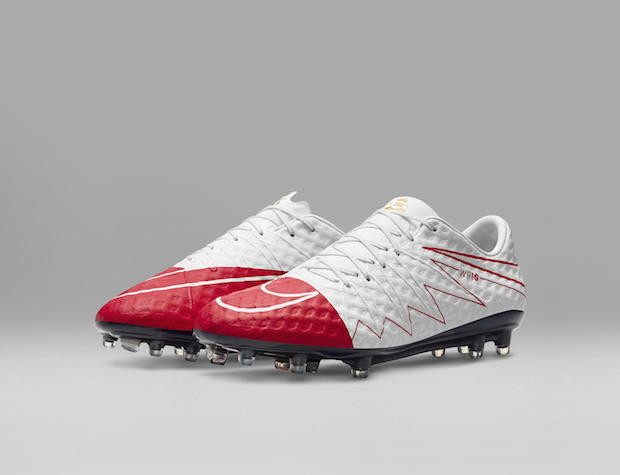 Nike decided to remix their indoor range by introducing two new silos, one of which being the MercurialX Proximo. The Proximo features all of the features we have come to love on the Mercurial Superfly but this time, it’s for small-side football. The X in the FootballX lineup stands for 10, which is the combined number of players on the court or field at a time in 5-a-side. 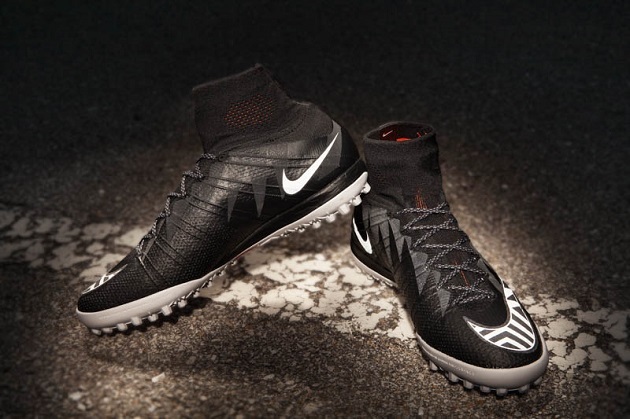 This boot features the single layer Flyknit upper all around the boot just like the Mercurial Superfly. 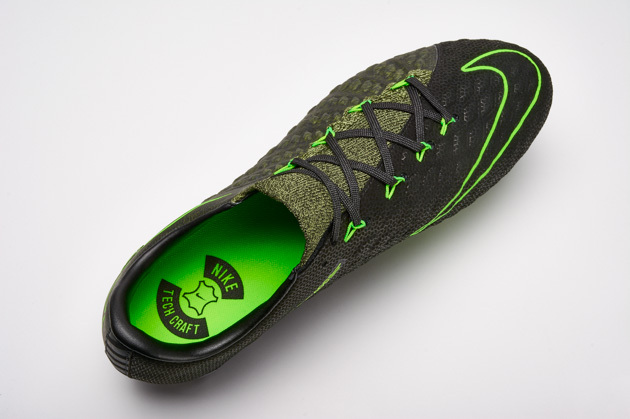 Nikeskin has been applied to the upper to provide more touch and better grip on the ball. The Dynamic Fit Collar really gives you that seamless sensation from your legs to your boots. The outsole on these boots are completely rubberized and feature a nice pattern that will give you great traction, this applies to both the indoor and turf variations. The turf features lots of small hexagon-shaped studs to give you a great ride on turf. The indoor version is flat and is perfect for the indoor game. The colorway on the MercurialX Proximo Street is one of the coolest I have seen on any indoor or turf in the past few years. The all-black upper features some reflective elements on it, so that when the light hits it right it will shine. The Nike Swoosh has a nice jagged design that mixes black with white in an awesome looking pattern. Inside the Dynamic Fit Collar is a bright crimson that will show through slightly when you put them on. Trust me when I say these boots look fantastic. 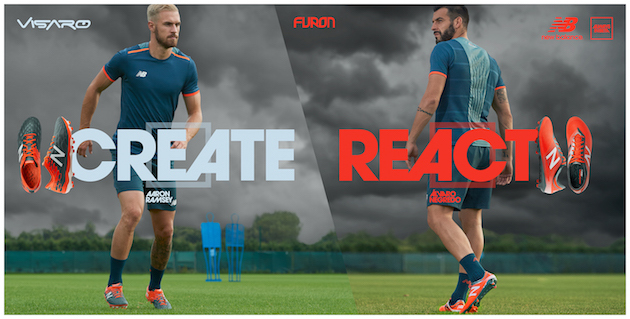 Wearing these boots in any small-sided match will absolutely make you stand out among the other players. The new lineup from Nike has really upped the game when it comes to indoor and turf shoes. Normally, the indoor game has been overlooked but now Nike have given us some top shoes to choose from, These are the top turf shoes available from Nike and it’s mainly due to the fact of Nike implementing a lot of their technology from the top silos of their outdoor silos. These shoes will surely meet all of the standards many indoor players require and really expect when it comes to touch and fit. 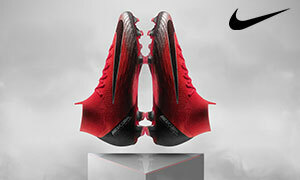 If you are looking for some awesome shoes for your next indoor season, go ahead and check out one of the best Nike indoor/turf shoes ever made.